In 2012 Alameda County adopted the Mandatory Recycling Ordinance which prohibits the disposal of certain recyclable materials and requires businesses and institutions with 4 or more cubic yards of garbage service per week, and multi-family properties with 5 or more units, to have recycling service. The recycling service must be sufficient to handle the amount of recyclables generated at that location. It is prohibited to dispose of materials covered by the ordinance, including cardboard, newspaper, white paper, mixed recyclable paper, recyclable glass food and beverage containers, metal (aluminum and steel) food and beverage containers, and PET (#1) and HDPE (#2) plastic bottles which could otherwise be recycled. These requirements became effective July 1, 2012, and enforcement began January 1, 2013. The full text of the ordinance can be found here. 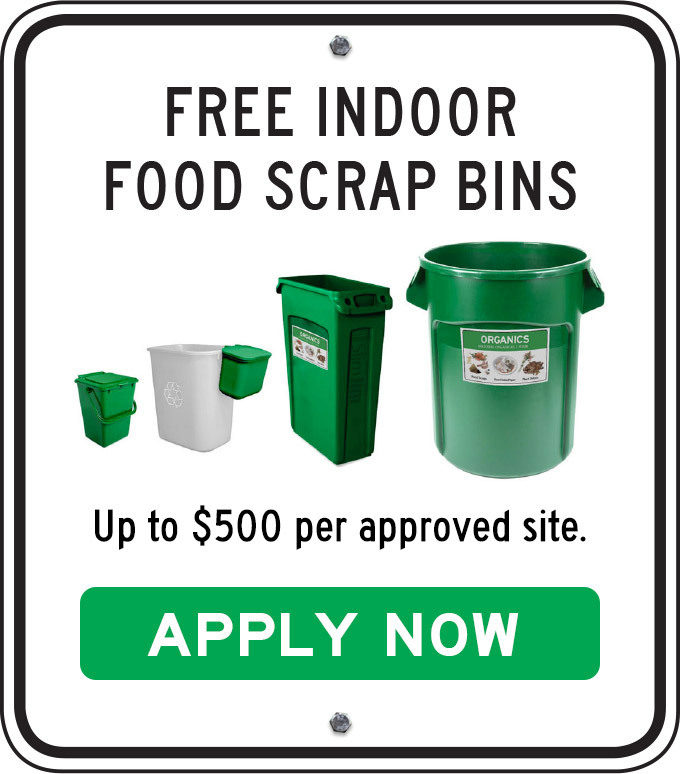 Effective July 1, 2014, Phase 2 of the ordinance expands its requirements to all businesses regardless of garbage service level, and requires that food scraps and compostable paper be recycled through organics collection service under certain conditions in certain jurisdictions. Enforcement related to Phase 2 requirements begins January 1, 2015, for participating jurisdictions. For more details about the compliance requirements for any one jurisdiction, please see the Rules by City pages. It is the responsibility of businesses, property owners, and managers to ensure compliance with the law. The Mandatory Recycling Ordinance is enforced through a routine inspection program. On a rotating basis, inspectors are dispatched to business properties to inspect the garbage, recyclables and, if required, the organics collection containers. The inspection is brief, taking about five to ten minutes and may occur without notification to the business or property owner depending on the time and circumstances of each location. Alameda County law prohibits disposal of plant debris in county landfills. ACWMA Ordinance 2008-01 (available for download here) requires landscape professionals, residents and businesses to separate all plant debris from garbage. Those subscribing to 4 or more cubic yards of weekly on-site garbage service must place plant debris in the designated “organics” bin, and those who haul to their local facility must deposit plant debris in the disposal facility’s designated “clean green” area. Plant debris includes grass, leaves, shrubbery, vines and tree branches.